BBT (Basal Body Temperature) is the cheapest and easiest way you can keep tabs on your body. You do it yourself. After at least four hours sleep. Women – vaginally. Has to be. No use taking oral as it is not a true reading of what is happening within you. All through your cycle which also means when bleeding – just wash the thermometer out with cool water – and add a drop of ti tree or oil of Thieves if you like. . .
Men need to use an oral thermometer and pop it in rectally first thing they wake in the morning – as their BBT tells us how good their sperm is likely to be and also why they have all the health and wellness issues that they do – as for women. Women have a cycle that means their temperature changes according to what part of the month it is and when pregnant – it should be up at 37 – 37.2/3 C all the time – optimal. It often is not and this is a lack of nutrients/rest – and the iodine and Vit D and fat and protein and minerals then becomes crucial (see hormonal mudmap). Women cycling are to be set at 36.6/7 C for the days from beginning of period (Day 1 is the first day) to ovulation – which should be day 13/14 . 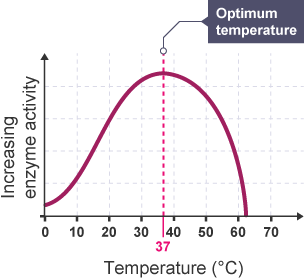 The temperature then has to drop as otherwise the sperm would die – so it falls optimally to 36.2/3 C. It then rises to 37.2/3 C and stays there till the day prior to bleeding/birth – when it falls again to the baseline of 36.6/7. This is a continual monthly up and down of two weeks up, and two weeks down – if the thyroid is working well. In non cycling or menopausal women – the same BBT can chart why she is having such ‘hormonal’ problems – the thyroid is not being supported to support life well. Even though she may well be having hot flushes – her BBT is usually at least a degree under what it is used to be (36.6/7C first thing on the morning – vaginally). Record it and you can get a charting device from www.fertilityfriend.com – as this is what I have been using in all my eBooks so you have a similar graphic to compare by. It is not likely that yours is perfect – as you are looking for reasons for not being well. What this does give you is the normal/well setting that you are aspiring to. Once the BBT/thyroid/adrenal function is repaired – menstrual/fertility/pregnancy/ health/menopausal symptoms will disappear. Being a woman is not supposed to be a trial – it is only when we do not have the right ingredients. Listen to your own bodies data . .. (Except you may need to find a doctor to actually be thinking as the individual information is your story and most orthodox medicine just looks at the general – BUT when it is YOU that wants to get pregnant, or become well – it is totally your story. 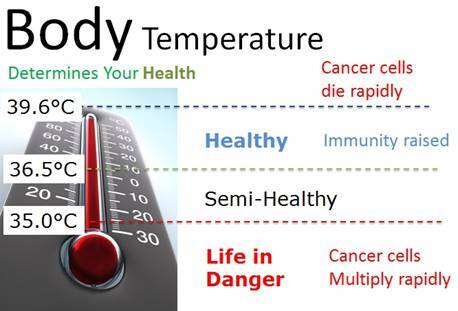 Cancer tumors grow faster when the body temperature is low. Germany’s bestselling author Uwe Karstädt new book 98,6° F – Ideal Body temperature for Optimal Health offers a wealth of knowledge and a cut through method of maintaining health or returning to it once we have succumbed to low body temperature and chronic disease. According to the author, low temperature is a plague of the 21st century. To understand more, start with the natural healing easy solving all your problems apps – solutions for questions you may not have thought to ask – or that no one could answer . .